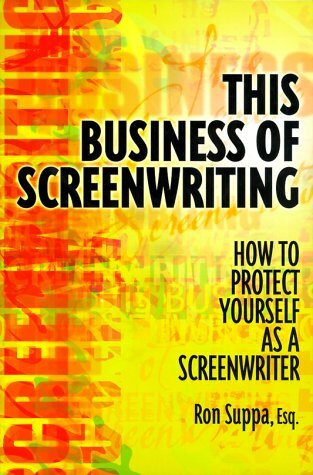 This Business of Screenwriting is intended as a survival guide to help aspiring and experienced writers alike through that crucial stage where art meets business. Calling on his years of experience as both a buyer and seller of screenplays, Ron Suppa conveys a taste of what the real world of professional screenwriting is like, and thus helps you compete on an insider level in that world. Subtitled How to Protect Yourself as a Screenwriter, this book gives you practical tips on preparing for a writer's life, crafting a marketable screenplay, launching a screenwriting career, writing for television, and the use of screenwriter tools such as treatments, pitches, spec screenplays and adaptations. Author Ron Suppa blends these tips seamlessly with chapters on protecting your work, representation, the marketplace, deal-making, and much more. Ron Suppa has long-term experience as an entertainment attorney, studio and production company executive, and writer or producer of more than a dozen feature films. He is a script doctor and production consultant for producers, directors, writers, actors, international production companies and nearly every major Hollywood studio.